Read how to automate all record-based activities by supporting the entire lifecycle of records from creation to disposition. 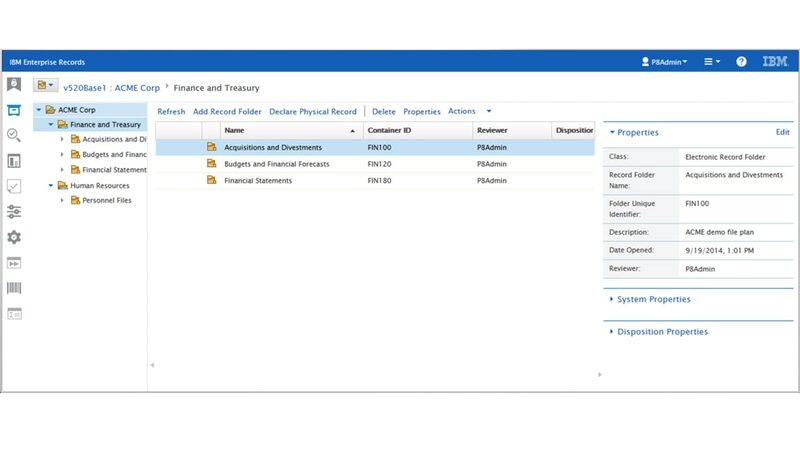 Read about the records management concept as well as IBM Enterprise Records features and capabilities. See a high-level of of IBM Enterprise Records and its main components.